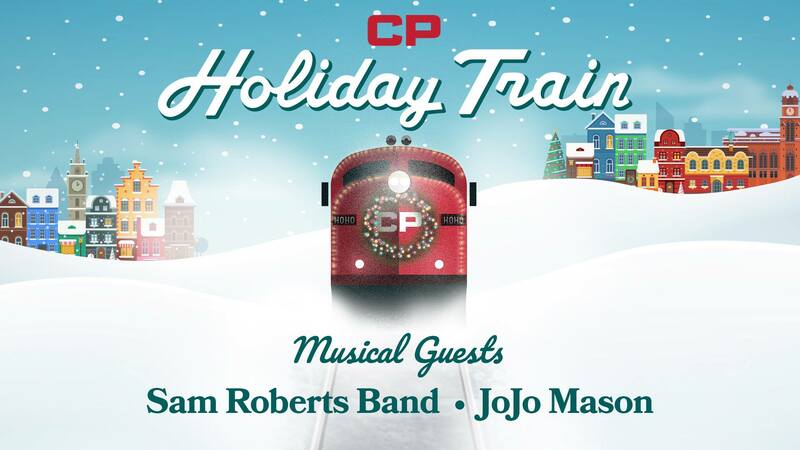 The CP Holiday Train rolls into Hamilton on November 28th this year for its annual kick-off to the festive season. Musical guests this year are Sam Roberts & JoJo Mason. The CP Holiday Train is a free, family event hosted by the City of Hamilton with Santa, Stripes from the Hamilton Tiger-Cats. Tim Hortons will be serving up coffee and hot chocolate and 102.9 Klite is providing music before the Holiday Train arrives. People are encouraged to bring a healthy food or cash donations in support of Hamilton Food Share. Bring all donations to a marked Hamilton Food Share truck or look for a volunteer wearing an orange Hamilton Food Share apron. With hundreds of thousands of LEDs to brighten the night sky, the train is scheduled to arrive at 7:45 pm but come early for best viewing because thousands of people are expected to attend. An accessibility viewing area will be located on Lawrence Road, with parking for those will disability stickers available at the Children’s Museum. Lawrence Road from Cumberland to Ottawa will be closed from 5:30 pm until 9:30 pm to ensure safety for everyone coming to see the CP Holiday Train.